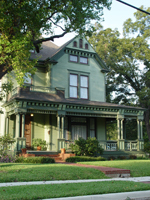 Located just 30 miles north of Dallas, McKinney’s gently rolling hills, tree-lined neighborhoods, historic downtown and beautiful parks give the city a quaint, small town feel – quite different from the Metroplex’s urban sprawl. Money Magazine ranked McKinney as the #1 Best Place to Live in America 2014! McKinney has been featured in the top 5 on the list since 2010. Money editors and writers look at data about employment, schools, crime and safety, and also evaluate each city’s overall quality of life to determine the rankings. Whether you are looking for a starter home in an up-and-coming neighborhood, a Victorian-era "painted lady" on a quiet street, a maintenance-free condo, a loft with city views or a multi-million-dollar mansion in a master-planned community, you will find it in McKinney. McKinney has a unique neighborhood for every lifestyle and income level. The McKinney Independent School District offers outstanding schools. The city currently has three high schools - McKinney High School, McKinney North High School and McKinney Boyd High School. 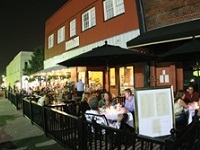 The city's downtown square offers more than 120 unique shops and more than a dozen exceptional restaurants, including upscale restaurants featuring award-winning chefs, sandwich and coffee shops, outdoor patio dining and neighborhood pubs. If shopping is your thing, downtown McKinney offers an assortment of specialty shops, art galleries featuring the works of local artists, furniture stores, exquisite antique collections, gift shops and apparel boutiques. The original Collin County Courthouse stands at the center of McKinney's historic downtown square. Reborn in 2006 as the McKinney Performing Arts Center (MPAC), the performing arts venue features a 480-seat theater suitable for intimate arts performances, lectures and events. In addition to the theater, MPAC includes several multi-purpose spaces, including a reception hall, auditorium, rehearsal space, audiovisual-equipped classrooms, art gallery and executive suites. Thousands of people flock to downtown for annual events such as Bike the Bricks, Oktoberfest and Home for the Holidays - A McKinney Christmas. McKinney's diverse economy includes a healthy mix of retail, office and manufacturing. Some of McKinney's leading employers include Raytheon, Lattimor Materials, Encore Wire, McKinney Medical Center, United American Insurance, Timber Blind Manufacturing, Orthofix and Simpson Strong-Tie. Businesses with operations in McKinney have led the environmentally sustainable development movement in McKinney by building offices using green building techniques and meeting stringent platinum standards for Leadership in Energy and Environmental Design (LEED) Certification. McKinney is home to one of the nation's two green Walmart Supercenters as well as the Pat Lobb Toyota dealership - the first automotive dealership in the nation to earn LEED certification. McKinney National Airport is rapidly emerging as the new corporate airport of choice for businesses operating in the North Dallas area. The airport is currently home to the largest and most active corporate flight departments in the Dallas area, and is the North Texas airport of choice for business and personal aviation transportation. McKinney National Airport is located between SH 121, U.S. 75 and SH 380 and is minutes from downtown Dallas, Richardson's Telecom Corridor and the Millennium and Legacy Business Parks.